Dr. Max Cynader is a world-renowned neuroscientist. He is the founding Director of Brain Research Center and the Canada Research Chair in Brain Development; a recipient of Order of Canada and Order of British Columbia; and a Fellow of the Royal Society of Canada and The Canadian Academy for Health Sciences. During his professional and academic career, he has received countless awards and recognitions, published over 200 articles, presented over 350 speeches in national and international conferences. Dr. Cynader was also one of the founders of the OV company NeuroVir, which was acquired in 2000 by MediGene. Dr. Li Jin is a Chinese geneticist, academic of the Chinese Academy of Sciences, and the Vice-President of Fudan University. He is also a foreign member of Max Planck Society, Director of the Human Genome Organization, and a member of the “Thousand Talents Plan”. Dr. Jin earned his Bachelor’s and Master’s degrees in Genetics from Fudan University, and obtained his PhD in Biomedicine/Genetics from University of Texas Health Science Centre. Dr. Jin has published 280 Scientific Citation Index in international publications such as Nature, Science and PNA; and his work has been cited over 14,000 times. 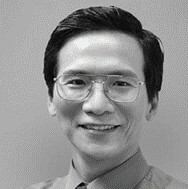 Dr. Mann Fung was Vice President, Oncology Scientific Innovation at Johnson & Johnson Innovation Centre, Asia Pacific, where he was responsible for creating and implementing an external innovation plan focused on developing an industry-leading portfolio of oncology investment opportunities in Asia Pacific. Previously, Dr. Fung was the Vice President, Compound Development Team Leader at Janssen. He was also the Executive Director/Head of Specialty Pharma Development at McNeil. Prior to joining Johnson & Johnson, Dr. Fung was the Head of Oncology & Critical Care at Eli Lilly Japan and a Team Leader and Reviewer at the FDA. Dr. Hooshmand Sheshbaradaran has over 20 years of experience in the pharmaceutical and biotech sectors in drug development, marketing, business development, financing, and executive operations. He held several senior positions in large pharma including Roche and Pharmacia/Pfizer. He also served as the Chief Business Officer of PsiOxus Therapeutics, an adenovirus-based OV company that closed a $936M licensing deal with BMS on its lead OV candidate NG-348. Dr. Sheshbaradaran also successfully founded Niiki Pharma and later exited via an M&A deal with Intezyne Technologies, where he is still a board member.